Our staff is continually being educated in new styles, and new techniques. 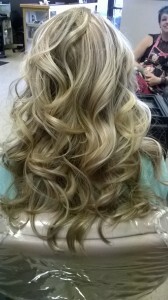 Whether your hair is curly, straight or a combination, we can help you achieve the style you are looking for. Needing a style for the prom, a formal dinner, or your wedding? Let us help make your special day better with a style that will leave them looking twice. Color is FUN!! 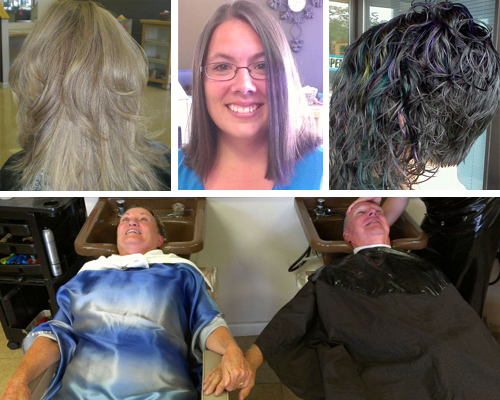 Whether it is subtle, dramatic or covering those stubborn grays. 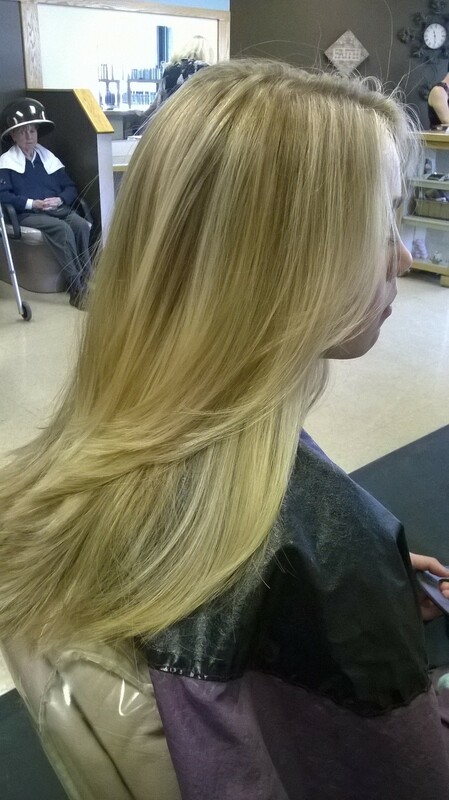 We offer many coloring techniques to fit the look you desire. If you’re looking for that once a week appointment to pamper yourself, and want that style to stay we offer the best in perms, roller set, and iron curl sets. You’ll love our family-friendly shop for men and children of all ages. Men, schedule your haircuts during lunch, or before or after work.